Get ready for your dosage of royal cuteness this morning because Prince George is twinning with his uncle! The heir to the throne is starting to look like this awesome uncle did at his age — all thanks to his mother’s tasteful eye. Does this mean that we can expect the same sense of humor and compassion from the young gentleman? Maybe! But even we couldn’t believe it when George stepped out in this darling short-and-kneesock combo on the family’s tour of Canada. Why? Because it’s a total throwback to this image of a very, very serious Prince Harry many years ago! Red shorts, knee socks, and loafers? Looks like this is a royal family trend! 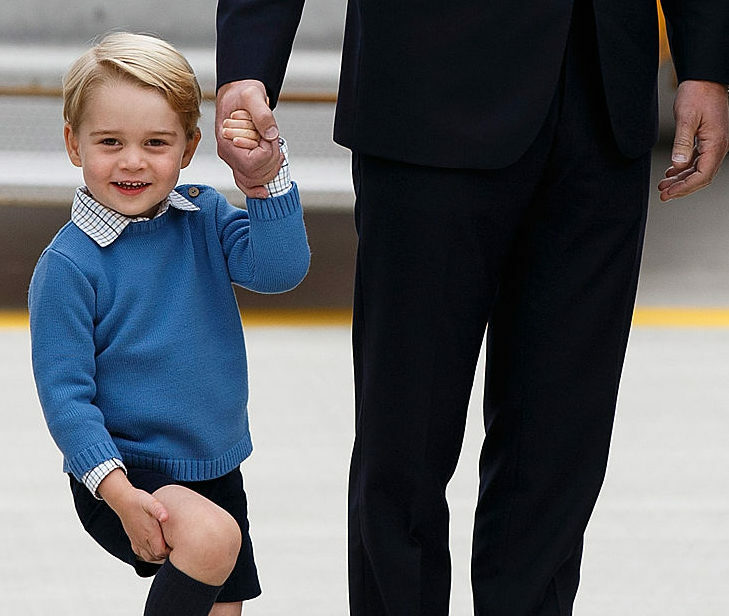 Prince George wore his spiffy new clothes on a playdate in Victoria, Canada. His parents and younger sister are all touring that country right now. Since The Duchess of Cambridge has been causing a stir with her outfits even before they landed, it was only fitting that her children would get the same attention. As the saying goes — the apple doesn’t fall far from the stylish tree. 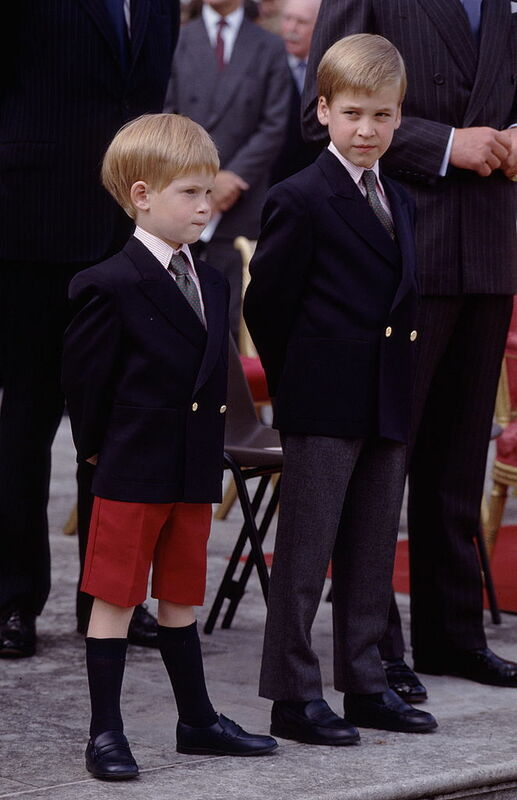 Back home, overseas, Prince Harry must be proud that his fashions are making a comeback on such a cute kid. Or hopefully at least not worried that his adorable nephew is stealing his style. 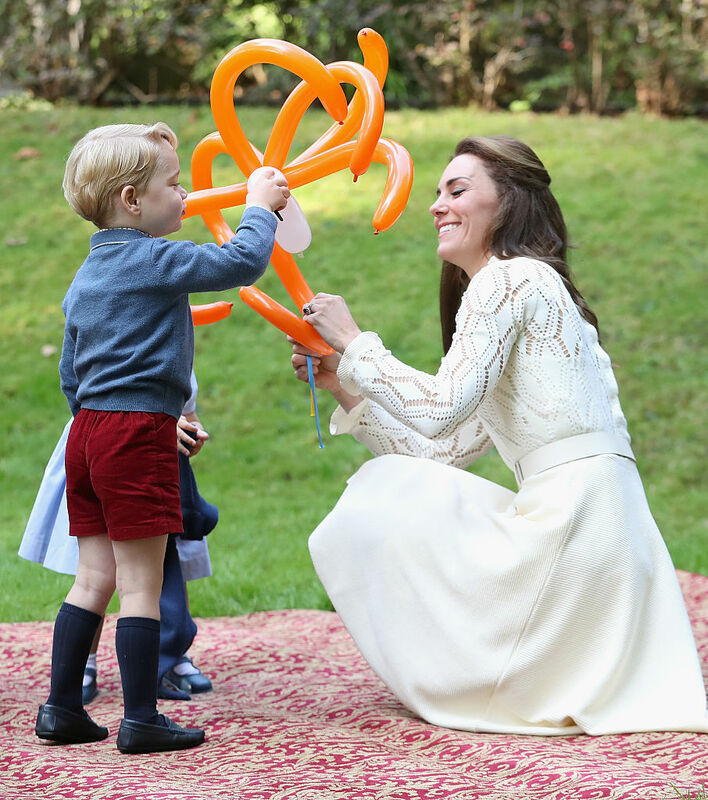 The happy family was seen blowing bubbles and playing with balloon animals together throughout the day. We might not get to see the royal children often, but when we do, they always seem to surprise us with both their style and cuteness levels. Here is to hoping that we can look as good as this family!